Start your heart (or someone else’s) and keep it beating strongly with a variety of healthy and delicious goodies from Sarabeth’s. 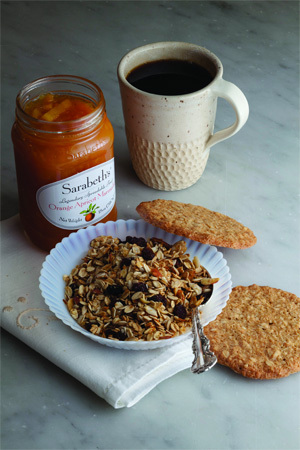 You have her acclaimed Orange Apricot Marmalade (Oprah’s favorite) in the generous 18 oz. size, a 12 oz. bag of Morning Crunch Classic Raisin Almond Granola, a 12 oz. bag of Coffee and six high in fiber, Morning Cookies.